With the Future Accommodation Model (FAM) still in its development stage, the Army Families Federation’s (AFF) newly released film highlights how much the charity remains committed to representing and involving families in the process, with the support of the Army and MOD. Understandably, families are keen to know as much information as possible about any changes that are likely to happen. At our recent Networking Event, Chief of the General Staff, General Sir Nick Carter spoke about his commitment to the consideration of families when developing policy. He also gave more of an insight into how FAM will be introduced once further planning has taken place: “FAM will be tested over 3-5 years at a number of locations with each Service proposing sites that suit their respective needs. We want to reassure you that as AFF learns more about the FAM options and any pilot sites, we will share details with you, to ensure you are kept up-to-date and have the opportunity to share your views and concerns. In the meantime, we hope our film shows you just how determined we are to make sure that Army families’ voices are heard every step of the way. For the latest FAM updates, we recommend you regularly check the AFF website, as well as our social media pages. To talk to us about housing, email our specialist at housing@aff.org.uk. AFF is delighted to see journalists and politicians supporting military families’ and our own concerns around the Future Accommodation Model (FAM). Independent think tank The Centre for Social Justice (CSJ), has released Homes Fit For Heroes: A housing strategy for the modern armed forces. The CSJ aims to give people in the UK who are experiencing disadvantage and injustice, the opportunity to reach their full potential. In their report, they outline ideas to address several concerns surrounding FAM and specifically look at how subsidised housing enables soldiers to serve, accompanied by their families. “We are delighted that the CSJ are shining a light on the hugely important issue of housing for our Armed Forces and their families. Like the CSJ, we do appreciate that budgetary constraints need to be considered in any review of accommodation policy and that there are many different views in this discussion. It is therefore encouraging to see the firm grasp they have on the situation, in that, a solution to this housing issue cannot be found in a ‘one size fits all’ approach, as is being put forward by FAM. Each service must be taken in isolation, in relation to accommodation, to ensure that serving personnel and their families receive the most appropriate support. “The changes that are being proposed by the MOD have the potential to have a hugely negative effect, not only on the nature of our Armed Forces in the future, but also how we honour and protect those who sacrifice so much in the line of duty to serve our country. Indeed, 76% of respondents to AFF’s survey on FAM said they would definitely leave or consider leaving the Army if FAM is introduced. Click here to read the full report from the CSJ. To read a Times article on this issue, from 20 March, click here. The Future Accommodation Model (FAM) is considering how accommodation will be provided to serving personnel in the future. One option being considered for those families who wish to remain mobile is the introduction of a rental allowance to allow them to rent a home privately. Army families have raised a number of concerns about this proposal and this paper outlines their concerns. The findings from the MOD’s FAM survey, which attracted over 12,000 responses from Army personnel, have now been released. AFF wants to make clear that this survey was created and driven by MOD and was separate to our own Big Survey 2016: The Future of Military Housing. While we are encouraged that families and personnel are being consulted, the results of the MOD’s survey confirm our fears that there is still too much of a gap between the expectations of FAM and the reality of it. There are also huge gaps in knowledge and information, which can prevent Service personnel and their families from making an informed decision on this important issue. According to the survey, 43% of the Service personnel who responded had never heard of FAM prior to taking the survey. With that in mind, AFF questions how relevant and reliable the results of the survey are. AFF continues to work on ensuring FAM will not represent a reduction in the ‘offer’ to families, if and when it is implemented. Our FAM Manifesto outlines the key points we feel need further investigation based on feedback from families. You can also see our Chief Executive, Sara Baade, voicing her concerns around FAM. 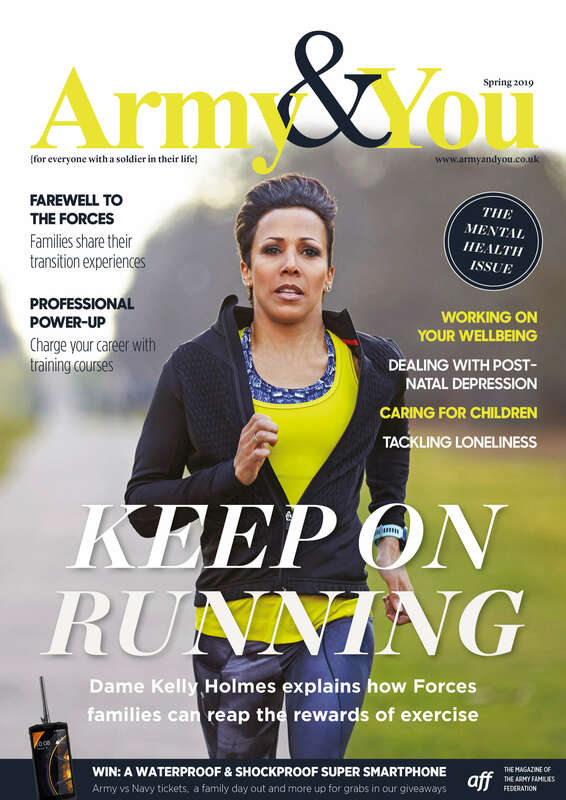 Following on from the incredible reaction we had to our Big Survey 2016: The Future of Military Housing, we developed the AFF FAM Manifesto as a direct response to the feedback we received from families. Here at AFF, we try to be balanced in our approach to all things, including the proposals around FAM, and appreciate there are many different views in this discussion. Our FAM Manifesto, therefore, represents the majority view from our families, based on the evidence we gathered from the survey, and we are now using it to demonstrate the strong feelings and concerns around FAM. We have been working hard to make sure families’ voices are heard in this debate and our staff have been using the Manifesto in meetings with key MOD officials, MPs and civil servants. Following on from AFF’s work ensuring Army families’ voices are heard during planning for the Future Accommodation Model (FAM), we have now developed the AFF FAM Manifesto. Our manifesto outlines the key actions we believe must be taken in order for FAM to be viable and, most importantly, fair to you, the families. Our manifesto is based on the results of this summer’s AFF Big Survey: The Future of Military Housing. More than 8,300 of you responded to our survey, an indication of just how important this issue is to families. Our manifesto represents the majority view from families based on the evidence you gave us. We want to ensure that the evidence you gave us is not ignored and our manifesto sets out ways to make sure this does not happen. To view the full AFF FAM Manifesto, please click here. We launched the manifesto at our annual Networking Event in November, which was attended by the Chief of The General Staff, Sir Nicholas Carter KCB, CBE, DSO, ADC Gen, Deputy Chief of the Defence Staff, Lieutenant General Richard Nugee, CVO, CBE and a number of key MOD and Whitehall officials, all of whom have now received a copy of the AFF FAM Manifesto. We have also held one-to-one meetings with all those mentioned above, to really drive home the concerns of Army families. As part of these meetings, we have continued to question how your views will be considered. We have also been communicating with a number of MPs around the issues that FAM could create and will keep you updated as and when we know more. Further updates surrounding our work on FAM will be published via our website and social media. If you were one of the 8,322 people who took part in our 2016 AFF Big Survey, you may be wondering what we’re doing with the information you provided us with. We’ve identified key themes and emerging trends, which we are now in the process of raising with chain of command, senior politicians and decision makers to ensure families are properly considered if the changes proposed by the Future Accommodation Model (FAM) are implemented. Click here to read our report, which details our findings and will act as an important tool for AFF when discussing the proposed changes to your housing provision with chain of command and MOD. Click here to download the command brief. Thank you once again to all those who took the time to get involved. Chief of Defence People, Lt. Gen. Richard Nugee CBE has written a letter to all Service personnel explaining the reasons behind the proposed move to the Future Accommodation Model. Whilst AFF welcomes the opportunity to move towards a housing system that reflects the modern Army family, we are concerned that the move to significantly reduce SFA, and replace it with a series of allowances to help buy or rent properties, will adversely affect Army families. To read Lt. Gen Nugee’s letter, click here.